Apple CEO and Founder Steve Jobs posthumously makes it to the big screen in a movie depicting his life and successes wherein we get to know his good and his bad as portrayed by a determined Ashton “The Butterfly Effect” Kutcher—a fine pick for the role. Directed by Joshua Michael Stern (“Swing Vote”, “The Contractor”), Jobs has the fit and finish of a mere made-for-TV biopic, the likes of which can fill up a lazy afternoon or evening without passing as much more. And while its noticeable lack of ambition is something that has drawn quite a lot of criticism, much has been ignored in the overly harsh lashings. 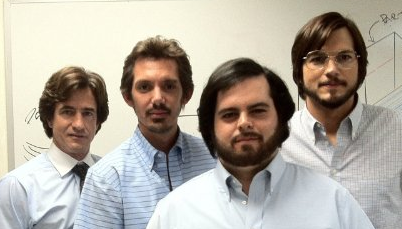 We meet a young Jobs with best friend and soon-to-be ground floor Apple employee “Steve Wozniak” (Josh Gad). After a trip to India, the college dropout Jobs latches on in a to-be-doomed relationship with “Clara” (Lesley Ann Warren), though whom he has a daughter. Job’s perseverance to stop at nothing to build the greatest computer company ever is what makes us both love and hate him for his all-or-nothing outlook on life which hurts – as surely as it helps – him and everyone in his life. The movie did an excellent job of keeping us in the middle between loving and hating one of the most respected entrepreneur-istic visionaries that was Jobs. 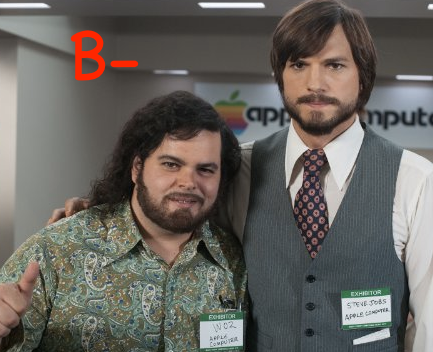 The general fascination with obsessive geniuses will give this film admirers anyway, but it’s greatest criticism comes from real-life Steve Wozniak himself (brilliantly portrayed in the film by Josh Gad whose performance is second to none). But for a story that begins with a surprising simplicity and manages to be motivationally engrafting while making us care, boasts a sense of loyalty to factual content and solid dialog. Its only lapses are in stretching out the dramatic arcs in an effort to show wisdom and personal growth. 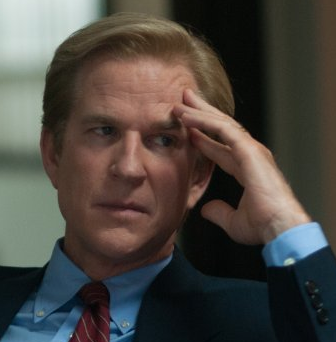 The surprisingly accurate story goes from the humble beginnings of Apple in a garage in California, to the release of Apple II, and from there to the MacIntosh area before tackling the rough years leading to 1990 with John Sculley’s (Matthew Modine) resignation. But did a major-release movie need to be made about this? Now that’s the big question to which there is no easy answer.